The back -and- forth debate between Cardinal Timothy Dolan and Governor Andrew Cuomo over New York’s late-term abortion law continues. In an op-ed yesterday about the new law, Cuomo linked the Cardinal to the religious right. Cardinal DOLAN ‘s comments are spot on. The article makes numerous points but the average reader will not read the entire article. I would like to suggest that a short presentation briefing package be put together to be distributed to ALL MEDIA OUTLETS. Secondly, I believe that in the true spirit of ecumenical cooperation the Cardinal should form a coalition of like minded religious leaders to support and disseminate these thoughts and principaled beliefs. This effort should be swift, comprehensive and continuous. At a minimum it should continue through the 2020 election especially since similar laws and bills are either pending or approved in many states. Let’s say what we need to say and leave the rest to God. He has the last say. Our Governor has children. One day he may be in a situation. May it never happen but sometimes it is a hard lesson to learn. We can only hope that our dear and merciful Lord will work out everything for good for as we all know that nothing is impossible with God. Good suggestions; AND I would also suggest this effort include all like-minded religious citizens of every faith in the State. Let’s include our Jewish and Muslim brothers and sisters who would also have a dark opinion of Cuomo’s “death panels for newborns.”…There is power in numbers.. I wholeheartedly support Archbishop Timothy Dalton in his response to Governor’s Andrew Cuomo Op-ed in the New York Times. His arguments and reasoning are “the double-edge sword” of truth. Evidently Governor Cuomo must be very surprised, and on the defensive by the public outcry and rejection to the infanticide law he signed on January 22. I believe his ideas and actions regarding the Reproductive Health Care Act should cause profound negative effects in public opinion about his present popularity and future political career, not only in New York State but on a national level if he is entertaining the idea to run for the presidency. The governor’s arguments seem to emphasize the separation between his religious and political views, but in this case, the argument is simply between what is intrinsically immoral and evil and what is moral and good. The right to life is an essential human right that must be protected and guarded by any constitution, whether by a state like New York, or by the U.S. Constitution. The right to life is the essence of the Law, for we were created for Life, not for Death. 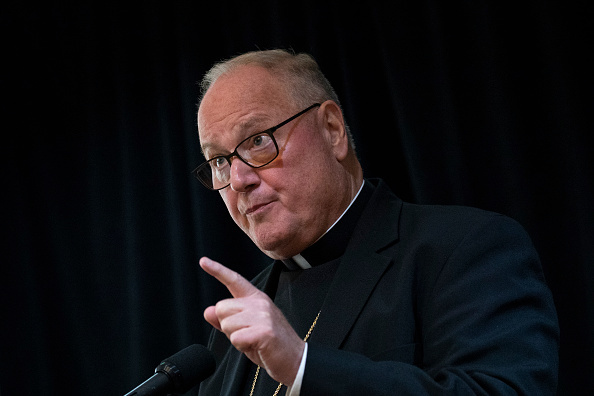 Thank you Cardinal Dolan for addressing Mr. Cuomo directly and effectively by pointing out abortion is not about religion but morality, decency and compassion – values shared by all regardless of whether or not they have a religious belief or what religion they follow. I pray that all moral leaders will be more forthright and address Mr. Cuomo in similar public statements! I never thought the day would come in my life time where killing infants is ok in the name of women’s rights! Cuomo must not have a soul, so yes, I pray God opens his eyes, his heart and his mind. I pray the rosary daily, as it is my comfort and my only hope against this “late term abortion/murder” law! A woman’s body is holy, and she is blessed with the ability through God’s Grace to give birth to a new and innocent human being. When did we become slaughterers? How is this ok with even one woman? I am heart sick and pray for us all! Statements like this aren’t strong enough. Cuomo and many Catholic politicians have separated themselves from the Church. Our leaders need to stop pushing them on us by equivocating at election time, inviting them to dinners, parades, up front at Masses, etc. When they start terminating the Elderly, handicap and deformed will New Yorkers still follow Cuomo. The Cardinal is right and I am glad I am not a New Yorker anymore. Wake up people your time of judgement is getting closer than you think. Killing a 👶 baby is murder. You are becoming more like Hitler and wanting the pure race!!!! Vengence is mine sayeth The Lord. Governor Cuomo will spend eternity in hell. Bob Fallon are you the PSD of NYSC K of C? Cardinal Dolan You clearly need to Excommunicate Gov. Cuomo. No pussyfooting around.This is the time and place .He isn’t About to change. Do the Lord’s will and act! Excommunicating Governor Andrew Cuomo is exactly the response he wants from the Catholic Church. By announcing New York State is onboard, he singles himself out as a loyal ultraliberal member of his party and welcomes the attention he is receiving. Moral principles go out the window and are replaced by political ambition and a quest for power. Watch out Governor. Excommunicatuion requires someone commit a grave sin or error. No more women will die, more will get breast cancer as there is proof of a definite connection between having an abortion under certain circumstances, and of course, countless more unborn babies and newborn babies will die. If that is not a far reaching grave matter, I wonder what qualifies. Excommunication for Cuomo is way long overdue! The Cardinal needs to act forcefully on this, NOW!